1. 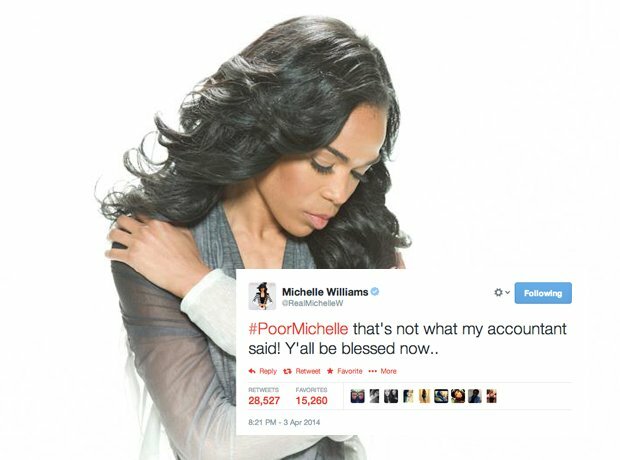 1) When Michelle Williams responded to the #PoorMichelle hastag! 2. 2) Can someone clear things up for Wretch 32?! 3. 3) Some good words from Labrinth. 4. 4) Or you could find your weekly inspiration from Joel Compass. 5. 5) Did Lil' Wayne fool anyone with this? 7. 7) Now we know where Nas gets all his work done. 8. 8) When Iggy Azalea and Missy Elliott had a moment. 9. 9) Sneakbo gave out some good advice.